Christopher Lopez, Youth Development and Community Engagement Supervisor for the City of Avondale, was honored with a Gabe Zimmerman Public Service Community Builder Award. 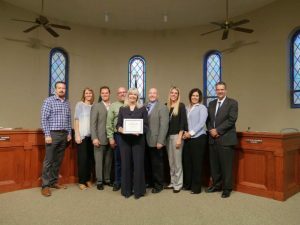 The 2017 honors were presented on Thursday, July 20 at the Arizona City/County Management Association Summer Conference hosted this year in Marana, AZ. The Gabe Zimmerman Public Service Community Builder Award recognizes public servants in cities and towns who advance community pride and connectedness. These leaders have be instrumental in transforming their communities through a variety of efforts including job creation and training, healthy communities, environmental and historical preservation, volunteerism and philanthropy, and educational advancement. Chris Lopez spearheads numerous programs, services and partnerships that benefit local youth in the Avondale area. Under his leadership, the Youth and Community Engagement Division works to address the needs of underserved youth and provides meaningful community engagement opportunities for all Avondale residents. Lopez introduced the Kids at Hope philosophy to the city and paved the way for Avondale to become the first official Kids at Hope city in the nation. As a result, staff from various school districts, local government and community leaders have adopted the Kids at Hope support system and belief that all children are capable of success, no exceptions. He also was instrumental in fostering relationships with the Corporation for National and Community Service, as well as expanding youth workforce development and teen leadership opportunities in Avondale. 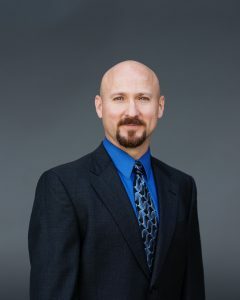 The Gabe Zimmerman Public Service Awards are sponsored by the Center for the Future of Arizona and supported by Arizona City/County Management Association, Arizona Department of Administration, County Supervisors Association of Arizona, Inter Tribal Council of Arizona, Inc., and League of Arizona Cities and Towns. The Center for the Future of Arizona is a nonpartisan, nonprofit that combines research with collaborative partnerships and initiatives that drive the state’s economic prosperity, quality of life, and civic health to create a better future for all Arizonans. www.arizonafuture.org. Congratulations to Sandy McGeorge! The Town of Queen Creek recently recognized Sandy for her dedicated service to the town, commemorating her 20th anniversary. The town has experienced many changes since Sandy McGeorge started in 1997. 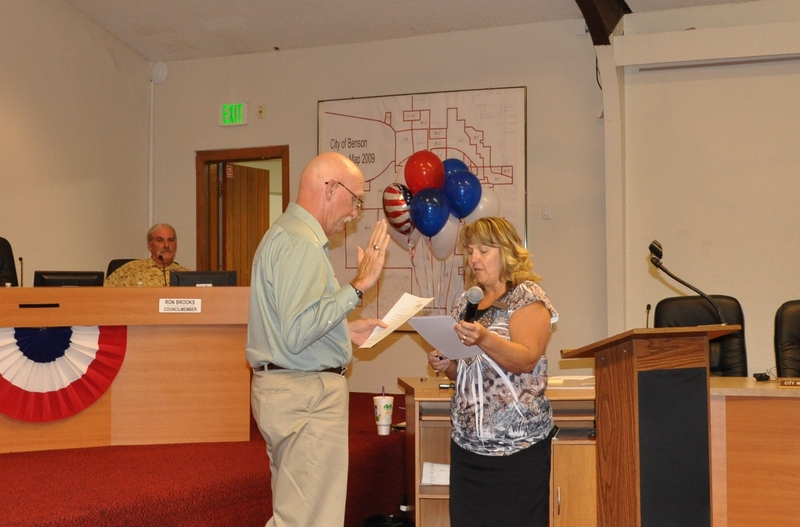 Initially serving as the Town Clerk, Sandy transitioned to the role of grant writer in 1999. As a young community, Sandy was instrumental in securing grants to help develop programs and services, particularly in the area of Parks and Recreation. She also assisted the communications area by coordinating community outreach events and the Citizen Leadership Institute. In 2007, Sandy began working on real estate matters on the Town’s behalf in addition to her other duties. In 2010, she became a Management Assistant II, focusing solely on real estate, where she is essential to the success of road improvement projects and economic development efforts. 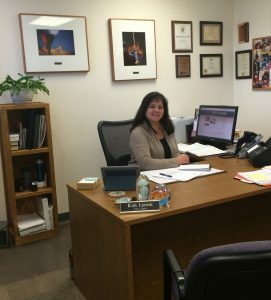 In 2012, she received the Senior Right-of-Way Agent distinction from the International Right-of-Way Association, the most prestigious professional designation granted to right-of-way professionals. Learn more about Sandy, Queen Creek and read the full story by clicking here. What is the most rewarding part of your job? To have our department be recognized by citizens for our exceptional customer service. What is your favorite memory as a city/town clerk? Being recognized by the AMCA for Municipal Clerk of the Year in 2006. What is the most rewarding part of your job? Being able to provide people with the information they need, whether it be a cemetery record for family research, utility assistance information or legislative history of the city. 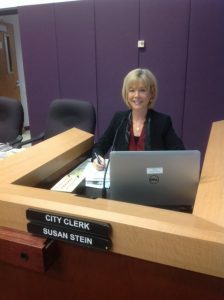 What is your favorite memory as a city/town clerk? 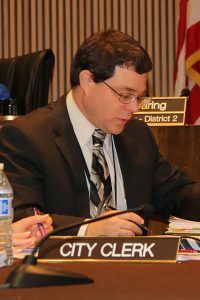 Having people participate in local government, either by coming to council meetings and addressing the council or running and serving as a council member; they come in and meet with me to learn about the city, the council, where they can find information, etc. I’ve had two people decide to run – and they served – on council after meeting with me regarding their questions. How many years have you served as a clerk? Deputy town clerk for nine years and town clerk 13 years. Where are you originally from? Born in St. Louis and grew up in Parry Sound, Ontario, Canada. What is the strangest/most unique task you have had to perform as part of your duties? Snake catcher! When a little red racer snake was slinking across the floor in our records center everyone deserted me, leaving me to catch it and take it outside. What is the most rewarding part of your job? Mentoring those who will follow me in the municipal clerk profession is something I enjoy doing. Nothing is more rewarding than helping a ‘new recruit’ discover that continuing education leads to success. How many years have you served as a clerk? 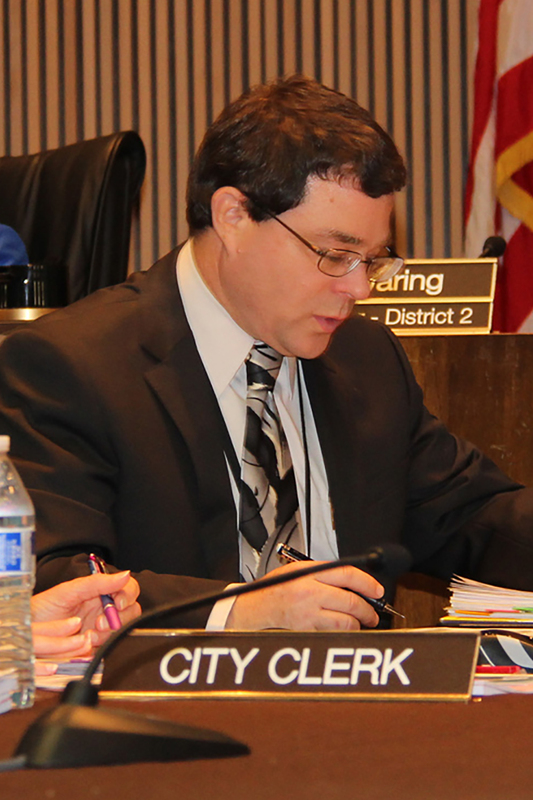 24 years in the city clerk department with five years as city clerk. What is the craziest question you have been asked by a resident? A voter asking about the procedure to change their vote the day after the election. What is the most rewarding part of your job? Working with other clerks and staff who are so dedicated to serving the public, and being able to assist people who are uncertain about where to go or are intimidated about interacting with government when they need information or records. How many years have you served as a clerk? Eight years in department and three and a half years as clerk. What is the most rewarding part of your job? 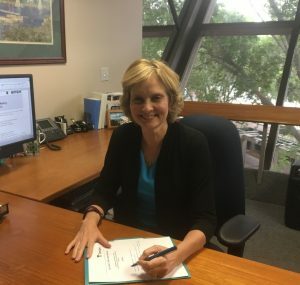 Being able to serve the citizens of our city, working with city council, preserving the records for the city’s history, and initiating new ideas and programs to streamline the workload. 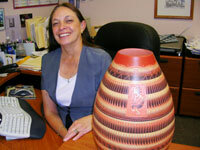 What is your favorite memory as a city/town clerk? One of my most favorite memories was the second grade class coming to city hall to learn about elections. The mayor was present and talked to the students about an election, and when he asked if there were any questions, they all wanted to know about the large key on the wall and what it opened! How many years have you served as a clerk? Six and a half years in Tempe. 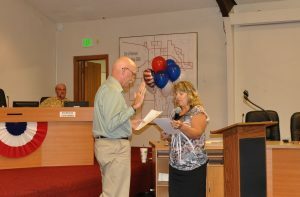 Prior to that, 12 years as city clerk in Yuma. What is the most rewarding part of your job? Working with community members to increase their knowledge of city government, programs and services, and seeing them become actively involved in their city. 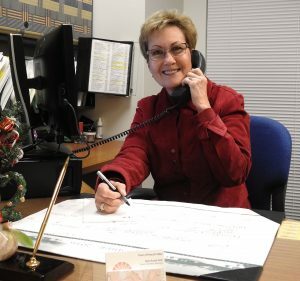 What is your favorite memory as a city/town clerk? My favorite memories are working with city staff and various election officials to coordinate election activities and working late into the night on election night to count ballots and distribute results. What is the craziest question you have been asked by a resident? I was asked if the city clerk’s office could send someone to sweep a street that contained gravel. What is the most rewarding part of your job? The ability to be a helpful resource and provide service to internal and external customers in an ethical, impartial professional and excelling manner.